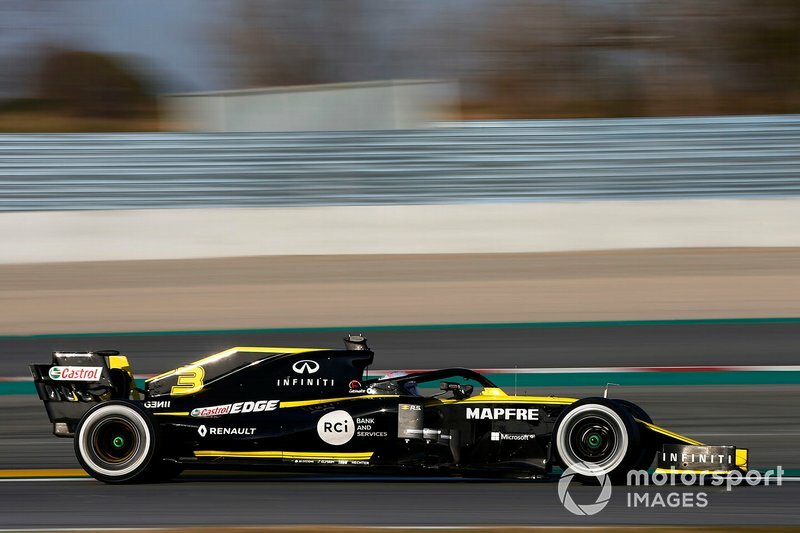 Images of the RS19 were released last Tuesday, with seemingly plenty of carry-over from the previous year’s car despite the introduction of new regulations for 2019. However, the French squad has emerged on the track with an array of new aerodynamic parts for the opening day of testing at the Circuit de Barcelona-Catalunya, showcasing greater complexity compared to the version of the car originally shown. The bargeboard area, in particular, has been given an overhaul - the top edge of the main bargeboard element has been squared off - allowing the car to hold onto airflow from the front of the car longer before conditioning it for use further downstream. 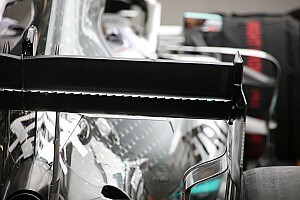 This now merges the main bargeboard body into the upward protrusion in the original-spec car, with a cut-out breaking up the top edge to improve the flow attachment. 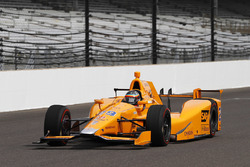 Furthermore, the vertical turning vanes ahead of the sidepod have been completely redefined; the original design retained cues from last year’s “aerocat” geometry, but this has been discarded for four interlinking slats - the second of which extends below the final two to strengthen the vortex around the sidepod undercut. There is also a new arrangement around the rear wing endplates, Renault attempting something completely different compared to the simple endplates seen previously. Three separate teeth now overhang at the point at which the wing flares out; the one closest to the leading edge is triangular before leading into a tooth-shaped strake, while the final strake extends to the trailing edge of the wing. These assist with managing the flow off the rotating rear wheels and developing it into something more workable, assisting with the generation of the trailing vortices produced from the rear wing. 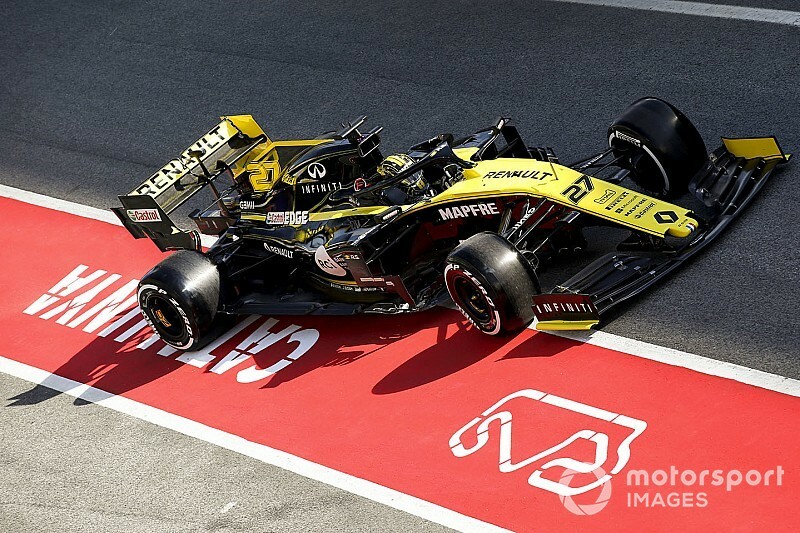 Renault has also added a small fin to the mounting point of the halo to add a little bit of extra flow control over the centre of the car, while the mirrors have been changed to include a slot inside the perimeter. 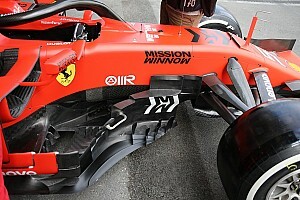 A design trialled by Ferrari last year, the shrouded mirror ensures that there’s as much flow control in an area that’s traditionally difficult to manage. This is also something Toro Rosso has included into its design, having launched with a curious flat mirror package last week. The Italian team has also added complexity to its bargeboards, having unveiled the STR14 with deceptively simple arrangement with three interlinked panels. Now, the bargeboards feature a number of serrations at the top edge to pull airflow down towards the edge of the floor, while the front-facing ‘daggers’ now develop into an extension of the sidepod turning vane, boosting the airflow energy around the car’s midriff. Toro Rosso also ran with the improved outwash front wing it performed a shakedown with last week, closing up the outboard section to drive flow outwards.